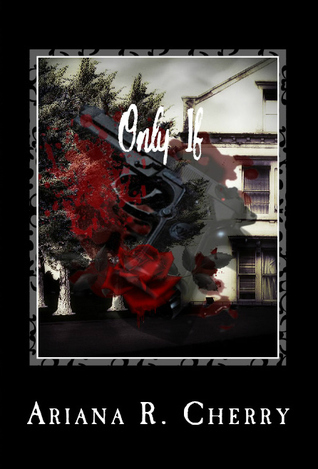 Only If, by Ariana R. Cherry, is a collection of poetry about a dark love triangle that revealed love’s dreams and nightmares. The collection begins with a demented fairytale about a young man who had fallen in love. However, when his lover was taken, the man was forced into madness. He was driven by vengeance against the one who took it all away from him, and is only able to recall the former shadows of himself. In this twisted collection, Cherry delves into the age old tragedy of what happens when you allow hatred to guide you, when love pushes you further down a chasm of horrific lunacy. While I do enjoy happy endings, I feel that dark love stories bring a beautiful edge to the story. It can be the difference between childlike innocence and cruel reality, and I’m very happy that this is the case here. Cherry told the story in a way that wasn’t overly dramatic or cliche. The details manifested into a sinister presence that seemingly stalked Bill, goading him into killing the one who had taken everything away from him. What’s even more haunting was the fact that Cherry chose to name each poem “cantos”. The detail reminded me of Dante’s Inferno, another work where the creator went to the nine circles of Hell and saw every denizen residing there. I feel like, however tragic this has been, Bill still has a place there. Pride and anger, after all, has a strong potential to morph into hatred, one that has the power to erase everything in front of him. It doesn’t matter what he did before; his life was marred by this one instance of damnation. Overall, I liked this work. My teacher once told me that love and insanity are on two sides of the same coin. Hatred does something to people, wipes out whatever humanity they have in them, with only the past to anchor them to life. Cherry illustrates this iridescent horror through the guise of this poetry collection. As such, I would give this a rating of 3.5 out of 5 stars, and would recommend it to those who enjoy Feast by Thomas S. Flowers and Shakespeare’s Romeo and Juliet.